Today I would like to share a personal story about a beautiful young woman that I am currently Coaching. Her name is Ethel. I met Ethel a year and a half ago when she was a resident at the family shelter that I work at. In only one year and a half she has made huge strides and is excelling. I am tremendously proud of her and would like to share her story with you. When I first met Ethel she was going through a difficult period in her life. She and her four children were homeless, she was unemployed, and had no transportation. Ethel had also been through a divorce. She previously tried moving to New York where she also has family in hopes of starting over. 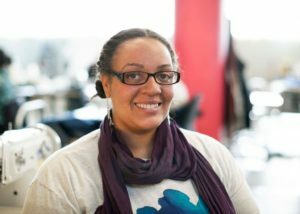 New York did not work out, so she moved back to Detroit and found herself homeless. As with most of the families at the shelter that I work at, they are not literally living on the streets, which is the typical face of homelessness, however they are unstable and in need. She was living with family, but with four children that is not easy. She could not afford to get her own place and came to COTS in hopes of getting housing. This is where Serendipity comes into play. Do you know what Serendipity is? Simply put Serendipity is finding something good without looking for it. It is unexpected good fortune. This is one of my favorite words! It is a charming, mystical, and sweet little word that has so much meaning. 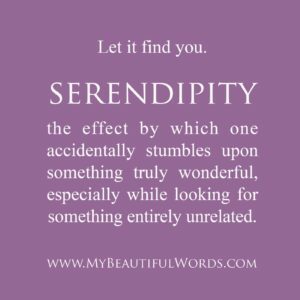 I have experienced Serendipity several times in my life. Ethel experienced it the day she came to COTS. She thought she was only coming there to get housing, and had no idea the blessings that were in store. In January of 2015 I went to Ethel’s room to introduce myself and see how I could be of assistance to her. As a Coach I work with the families at COTS to help them achieve self-sufficiency. Ethel and I started working together on a plan to move her towards independence. One of our immediate tasks was to get her children enrolled in school and childcare, we did this in February. This was when I first witnessed one of Ethel’s greatest strengths, and that was her love and commitment to her children. Next, in March she acquired her legal identification in the form of a State I.D. 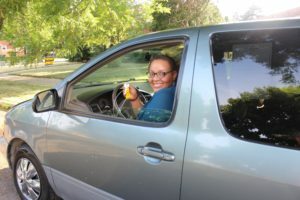 She was not able to get a driver’s license because of previous tickets and fees, so she identified the costs and made that one of her goals, to pay off the fines and re-acquire her license. And how was she going to pay those fines and everything else she needed to pay for to get on her feet…..employment! Ah, the next goal. Ethel updated her resume and began searching for employment. She attended job fairs, applied at many companies and organizations, and had some interviews. While she worked on obtaining employment, her housing was solidified. In June she received what I call the “golden ticket,” her housing choice voucher came through, or as we call it in the street, section 8 lol! Her main goal for coming to COTS was accomplished. I cannot stress enough how important obtaining housing is to Ethel and to any person who is struggling with instability. This is something that people take for granted who have never faced homelessness. You cannot focus on anything else when you do not have a place called “home” to lay your head at night. I have been there and that is part of what led me to this career. Two months later in August, she obtained full time employment! Ethel is still at this place of employment today. Once she had stable employment, she was able to pay off her tickets and re-acquire her driver’s license. During one of her coaching sessions in the fall of 2015, Ethel mentioned that she would like to have a Mentor. As Serendipity would have it, I was involved in developing a project for a mentoring group of successful African-American women, who were planning to mentor other African American women. The goal was to provide support, exposure, and friendship to women in poverty. I told Ethel about the project, and we were both excited about her being a part of it. The project was being developed by Carol Goss and I was fortunate enough to be included as a founding member and coordinator by my CEO Cheryl Johnson. This project was Serendipitous for me as well. I was in the right place at the right time, and had prepared myself for this opportunity. Two well known, highly respected, successful and prominent African American women gave me the opportunity to organize and manage this exciting project. The name of the program is the Warrior Women Against Poverty. One of my first tasks was to plan a listening group, where a panel of women from COTS shared their story and what they needed to be successful in life. Ethel was on this panel. One of the women in the audience was Pearlanne Pollard, and she felt moved by Ethel’s story. She approached Ethel after the meeting and told her she would like to help her. They instantly bonded and started spending time together before we officially started the mentoring process. Serendipity. While on her journey, Ethel still faced challenges. She faced a custody battle with her ex-husband. Her sons were having disciplinary issues in school. There were obstacles at her place of employment as a result of the issues with her children in school, because she had to often leave work to tend to their needs. She even had to move because someone broke into her house during her first week and it made her very uncomfortable. Another barrier she faced was transportation. This barrier is not only common among people in poverty, but people in general in the City of Detroit because of our lack of quality public transportation. For a while she was able to use a family member’s car, but it recently broke down and the repairs were beyond the value of the car. As mentioned public transportation is not reliable in our city, but honestly even it was, this is not a viable option for Ethel. Her four children need to be taken to three different locations, two different schools and a separate childcare facility for her youngest child, and then she has to get to work each day. Then after work, she has to retrieve the kids from these different locations and get home. Add to that her children’s therapy appointments, doctors’ appointments, grocery shopping and other activities, and you see that a vehicle is essential to Ethel’s self-sufficiency. Over the past couple of months Ethel has been making it happen despite her transportation issues. She has been taking an Uber and getting rides from family. But the cost of this was fast draining her. Yes, she is employed, but she does not make a lot of money and spending up to $30 a day on Uber was too expensive. She looked into some resources for a vehicle, but nothing was working out. She was frustrated and feeling discouraged. We communicate regularly and I always encourage her to stay strong and stay focused. Don’t lose sight of the goal and no matter what…..DO NOT GIVE UP. Ethel has been dedicated to the Warrior Women Against Poverty. She has come to all of the monthly activities, and has been spending regular time with her Mentor. On Saturday July 23rd Ethel attended the mentoring July activity. Her Mentor Pearlanne was not able to attend because of other responsibilities. After the event her Mentor called and asked her to come to her home. Ethel didn’t know why, she just went. When Ethel arrived, Pearlanne presented her with a van!!! This was a totally unexpected surprise that she received. Pearlanne told her the only thing she wanted in return was…..a college degree! SERENDIPITY! At this point Ethel is on a steady stride – stable housing, employed full time, children in school and childcare, her affairs are in order such as legal identification and utilities being current, and now she is surrounded by a supportive network. The one thing that she needed to keep this all going was a vehicle. As her Coach I can speak to how hard she is working to succeed and how determined she is. I have seen her face some major challenges, and she bounces right back each time. I am so proud of her and I am proud to be in her life. Technically I try to meet with my ladies at least once a month, but Ethel and I talk, text, and email several times a week. We have a wonderful relationship and often say we don’t care what happens with Coaching or not, we want to stay in each other’s lives. Ethel’s current goals are to enroll in college at Wayne State University, complete her college degree in Information Technology, build her credit score, purchase a home, and to get her children successfully through school. She is also now building a business creating custom etched glasses. She also does other custom items such as shoes. She gave me a custom etched wine glass for my 40th birthday, and I have it on my desk at work. I love it and so does everyone who sees it. 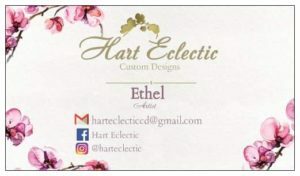 The name of her business is Hart Eclectic. Please visit her Facebook and Instagram pages to see some of her beautiful work and purchase some custom items from her. I would like to end with the email that Ethel sent me after she received her blessing of a vehicle. From Ethel on 7-23-16: Ms. Walker, Attached are pictures of the van my wonderful mentor Pearl bought for me today. She said she did not give me the van, I owe her a college degree. I plan to work towards giving her that this Fall Semester when I start attending Wayne State University. WWAP ROCK!!!! Just to know there’s black women out there like you, Mrs. Pollard and the other mentors of WWAP makes me want to keep pushing. I’m not going to lie this thing called life is hard but women like you all makes it a little easier. I prayed for you all to be in my life and now you’re here. It feel like I’m living in a dream! I am so blessed you came into my room at COTS January 2015, who knew that it would be the start to everything I’ve prayed for? I won’t ever question God again. I now know what it is to walk in faith. I no longer feel like I’m out here alone. I have a team of successful women that is here to help me be successful. Man THERE’S NO OTHER FEELING LIKE THIS IN THE WORLD!!!!! Look at God! This touch my heart! Beautiful story…Best of Luck to you and your family Ethel.